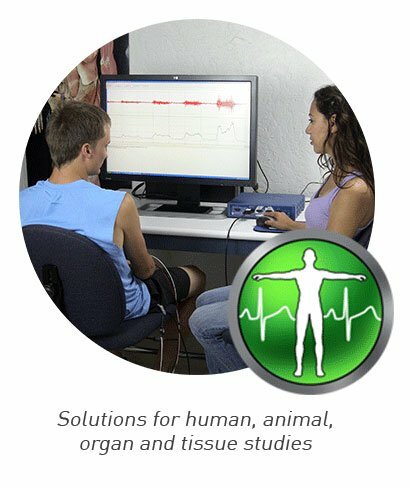 Measure oxygen level changes in the prefrontal cortex of human subjects. 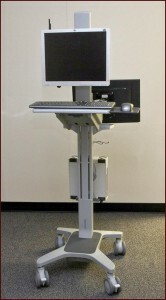 An fNIR System provides researchers with real-time monitoring of tissue oxygenation in the brain as subjects take tests, perform tasks, view advertisements, experience ergonomic layouts, or receive stimulation. It allows researchers to quantitatively assess brain functions—such as attention, memory, planning, and problem solving—while individuals perform cognitive tasks. Monitor cognitive state of the subject in natural environments. 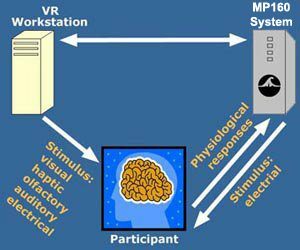 Easily sync with stimuli presentation systems and integrate with other physiological and neurobehavioral measures that assess human brain activity, including eye tracking, pupil reflex, respiration, and electrodermal activity. Wired and wireless solutions available for in lab or real world recording—compare systems & software features: fNIR Product Flyer. 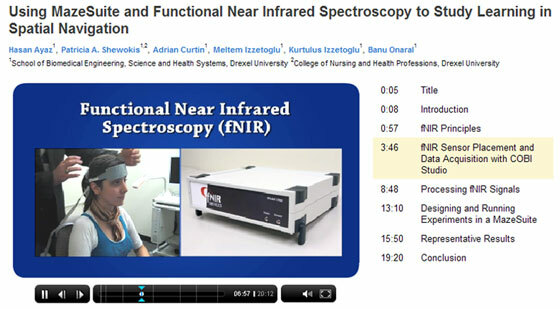 Continuous Wave fNIR imaging offers researchers a portable functional near-infrared (fNIR) imaging research tool capable of monitoring brain’s hemodynamics and thereby the cognitive state of the subject in natural environments. 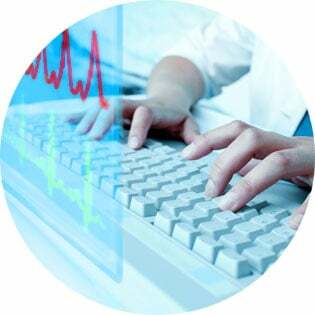 fNIR technology employs specific wavelengths in an optical frequency window which can easily pass through a few centimeters for most tissue, and allow monitoring blood oxygenation changes but monitoring back-scattered light intensity. The relative changes of light intensity across time are due to changes in oxy- and deoxy-hemoglobin and provides information about neural activity. Ayaz, H., Shewokis, P. A., Curtin, A., Izzetoglu, M., Izzetoglu, K., Onaral, B. 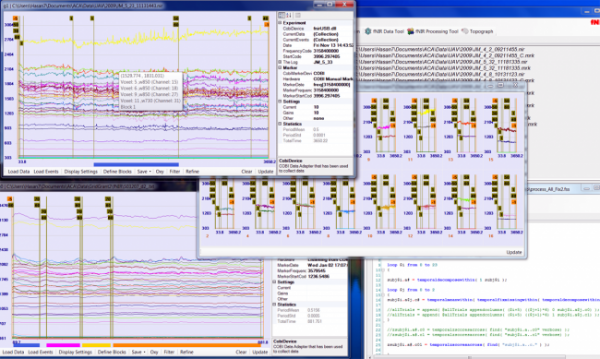 Using MazeSuite and Functional Near Infrared Spectroscopy to Study Learning in Spatial Navigation. J. Vis. Exp. (56), e 3443, DOI: 10.3791/3443 (2011). Techniques such as functional magnetic resonance imaging (fMRI) and positron emission tomography (PET) have been widely used for functional brain studies in humans. 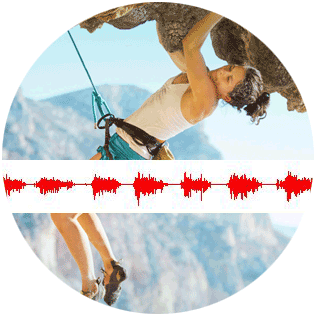 These techniques are expensive, highly sensitive to motion artifacts, confine the participants to restricted positions, and may expose individuals to potentially harmful materials (PET) or loud noises (fMRI). These characteristics make these imaging modalities unsuitable for many uses, including the monitoring of ongoing cognitive activity under routine working conditions. 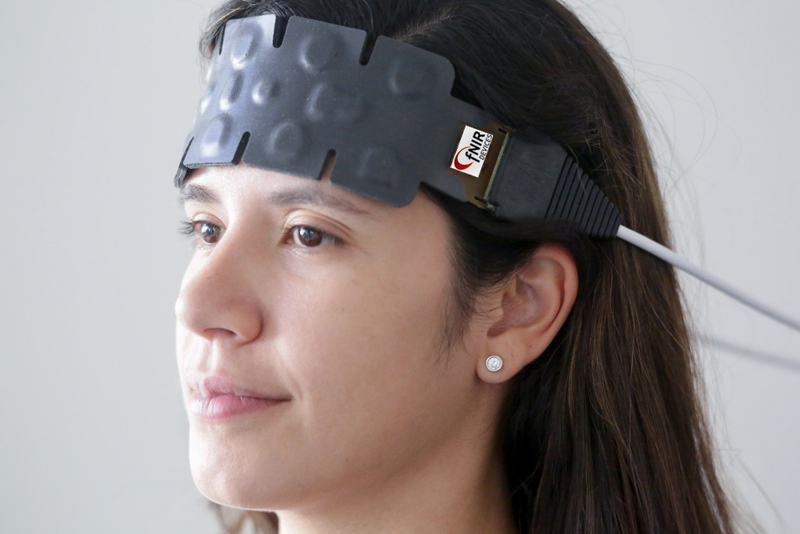 fNIR is the only stand-alone and field-deployable technology able to determine localized brain activity. fNIR can be readily integrated with other physiological and neurobehavioral measures that assess human brain activity, including eye tracking, pupil reflex, respiration and electrodermal activity. fNIR can also complement other techniques. Studies have shown a positive correlation between a participant’s performance and fNIR responses as a function of task load. It has also been shown that fNIR can effectively monitor attention and working memory in real-life situations. 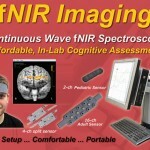 fNIR is a powerful near-infrared spectroscopy imaging tool for in-lab cognitive tests and neuromarketing. This technique measures NIR light absorbance in blood of hemoglobin with and without oxygen and provides information about ongoing brain activity similar to functional MRI studies. It eliminates many of the drawbacks of fMRI and provides a safe, affordable, noninvasive solution for cognitive function assessment. 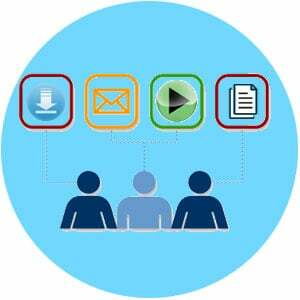 The technology empowers researchers by providing greater flexibility for study design, including working within complex lab environments and operating in non-traditional lab locations for field studies (neuromarketing). The fNIR device provides relative change in hemoglobin levels, calculated using a modified Beer-Lambert law. 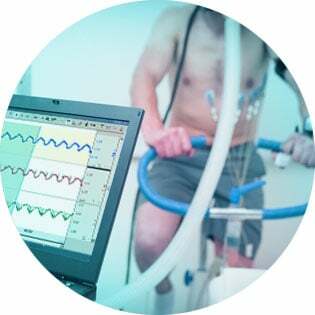 fNIR data combines with physiological signals acquired through BIOPACs data acquisition and analysis systems such as ECG, respiration, cardiac output, blood pressure, electrodermal activity and stimulus response markers; AcqKnowledge® software provides automated analysis tools for event related potentials and ensemble averaging. 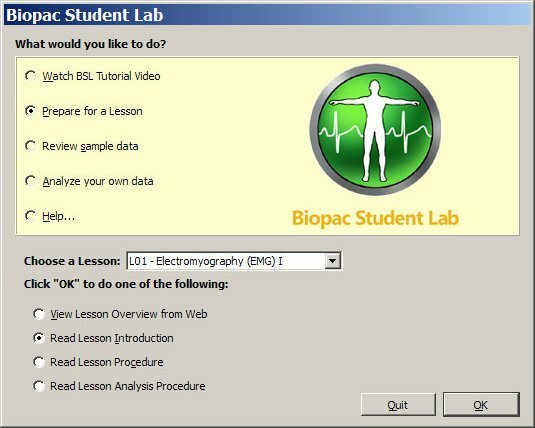 The system interfaces with most stimulus presentation systems (such as E-Prime or SuperLab) and BIOPAC’s range of Virtual Reality systems. Cognitive Function Monitoring: Studies reported that fNIR can effectively and reliably monitor attention and working memory and the results are in agreement with fMRI and EEG studies. 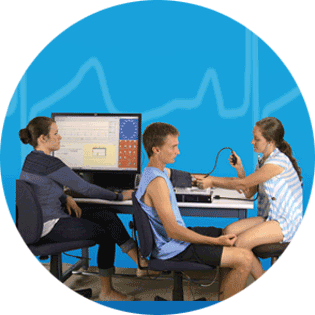 Human Performance Assessment: Studies have shown a positive correlation between a participant’s performance and fNIR responses as a function of task load. Cognitive workload is quantitatively assessed by the fNIR system in real-life settings. Clinical Settings—Awareness During General Anesthesia: fNIR can monitor dept of anesthesia in OR conditions. Aging: The studies reported use of fNIR device in Aging research and usability of the device while patients are walking. 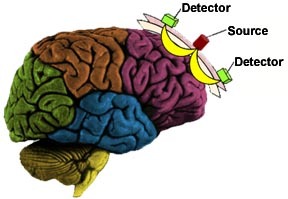 The fNIR functional imaging technique gives information about the hemodynamic activity of the cerebral cortex directly underlying a specified source-detector pair; source-signal localization is well defined and measured light intensity reveals the association with hemodynamic changes within ~1-1.5 cm distance from center of source-detector arrangement. The light source for the current fNIR instrument uses light emitting diodes (LEDs) which provide a very compact wavelength light source. The system deploys two specific wavelengths, 730 nm and 850 nm sensitive to oxyHb and deoxyHb. 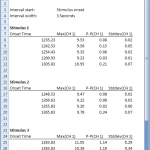 fNIR systems provide raw light intensities in addition to oxyHb and deoxyHb. 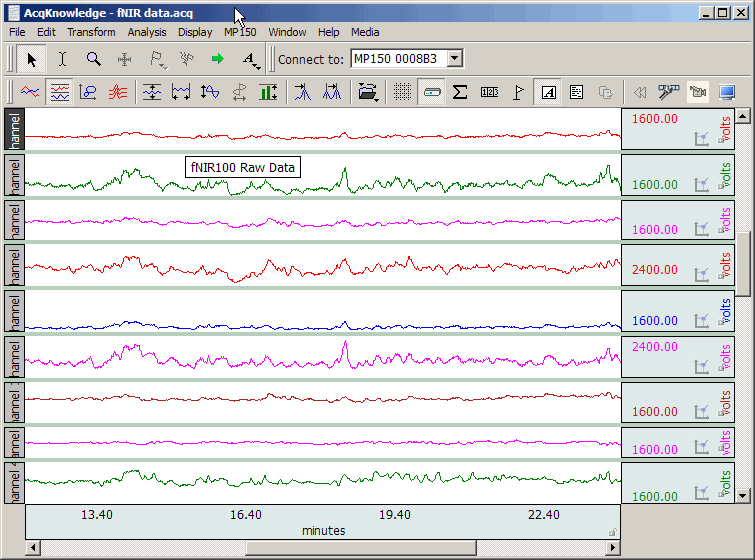 Clean data: fNIR devices provide raw light intensity and oxygenation data as well as modern noise reduction methods and analysis options for researchers. Easy to apply: data collection can start within 5 minutes. Robust system: sensors have been tested thru 10,000 flex cycles. Safe: Every fNIR system is shipped with a high capacity isolation transformer. Flexible: integrate with other physiological and neurobehavioral measures that assess human brain activity, including eye tracking, pupil reflex, respiration and electrodermal activity; easily syncs port with third party stimuli presentation systems. Rich set of accessories: optional high power data analysis, stimuli presentation software, phantoms, adapters, & custom (up to 50 feet) and standard extension cords.